The Center for Media & Health is a European leader in Entertainment-Education for Social Change. Our scientific-based projects focus on current issues such as health communication, patient care, sustainability, social tolerance, and active citizenship. 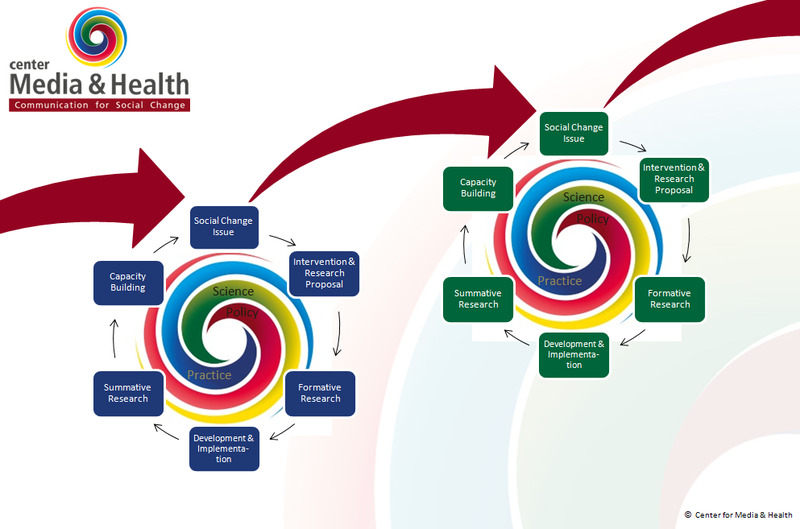 Since its inception in 1999, the Center for Media & Health has designed and implemented a wide variety of media formats, communication interventions and research projects. We use entertainment media, storytelling, and innovative communication methods to effectively reach vulnerable groups in society. In our projects, we combine communication research with innovative media approaches to reach our goals with the highest quality standard. We are flexible and we feel at home in different professional domains. We are known world-wide for our innovative projects in which we combine new media technologies, communication techniques and high-quality research. For our clients and funders, we have proven to be a trustworthy partner that delivers award-winning interventions. We are experts in communication for social change. From concept development to testing and production and from research design to implementation and monitoring, our flexibility is our strength. We are convinced that an interplay between research and practice can lead to a tailor-made and highly effective communication strategy.